A young man by the name of Nick Carraway, who wanted to experience life in the East, was a bonds salesman, and he happened to be Jay Gatsby’s neighbor on the West Egg. Jay Gatsby was a very rich man who met Nick in the army, and the two of them met one night at one of Gatsby’s grand parties which resulted in the two of them beginning a friendship. Nick is also friends with a man by the name of Tom Buchanan, who was married to a woman named Daisy. However, Tom had an affair with another woman named Myrtle Wilson, who was also married. As the story progresses, Nick finds out that Jay Gatsby wanted to see Daisy again, as the two met while Gatsby was in the army. Nick invites Daisy for tea one day so that Gatsby could talk to her again, and the two became acquainted. Tom began to be suspicious of Daisy’s activities, and he started to keep a close eye on her. He later found out that Daisy had an affair with Gatsby, and he was enraged even though he was in an affair himself. Tom claimed that Gatsby was a bootlegger, and Daisy realizes that she was still loyal to Tom. However, Tom sent Daisy with Gatsby back to the West Egg to prove that Gatsby could not antagonize him. Nick later learns that Daisy killed Myrtle by running her over with Gatsby’s car. Myrtle’s husband discovered that the car belonged to Gatsby, and he fatally shoots Gatsby and later himself. Nick holds a funeral for Gatsby and then returns to the Midwest, because he was contempt with the way rich people lived on the East Coast. 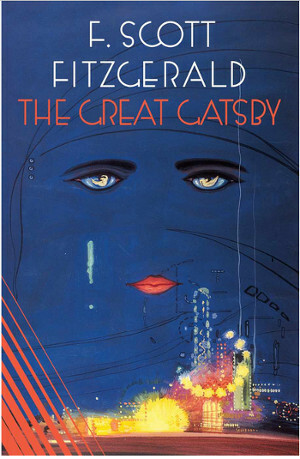 He also realizes that Gatsby’s feelings for Daisy were corrupted by money and dishonesty. The book is a very sophisticated and complex book that requires the reader to know many difficult vocabulary words. In the beginning, there was close to no action, and reading the book was very bland at times. The book mainly focuses on concepts that may not be very intriguing to younger readers, as it is filled with romantic and adult feelings that children would not be able to understand. As I kept reading, I began to gain interest. The author did an excellent job of incorporating suspense and strong emotions that I think are great and make this book an American classic. The author also was very good at conveying detail and he also could set the mood or environment though his words. I would recommend this book for high schoolers or young adults, as it is a complicated book filled with complex words. I would rate this book an eight out of ten. 1. Who is Nick’s rich neighbor? 1a. His neighbor is Jay Gatsby. 2. Who is Tom Buchanan’s wife? 2a. Tom Buchanan’s wife is Daisy. 3. Where did Tom and Nick travel to with Myrtle Wilson? 3a. They boarded a train to New York. 4. Where does Nick live? 4a. Nick lives on the coast of the “West Egg”. 5. What party does Nick attend? 5a. Nick, one of the only people who were actually invited, goes to Jay Gatsby’s house for a party. 1. What nickname does Gatsby give Nick? 1a. He calls him “old sport”. 2. Who does Gatsby want to meet very badly for five years? 2a. He wants to meet Daisy again. 3. Why does Tom go with Daisy to the next party at Gatsby’s house? 3a. He is worried about Daisy running around alone. 4. What do many people suspect Gatsby of being? 4a. Many people believe that he is a bootlegger. 5. How does Gatsby feel about Tom? 5a. He wishes that Daisy would leave him. 1. Where does Tom confront Gatsby? 2. What does Tom tell Daisy that Gatsby is? 2a. He claims that Gatsby is a bootlegger of alcohol. 3. Whose car kills Myrtle? 3a. Gatsby’s car, driven by Daisy, kills Myrtle. 4a. George, Myrtle’s wife, kills Gatsby. 5. Why does Nick leave the East? 5a. He thinks that everything is corrupted and that wealth is too integral in people’s motives.